Unfortunately ‘Ensians 1st XV game against Aireborough at Guiseley was postponed due to a frozen pitch but the second team game at Otley went ahead with the pitch in great condition. Each team arrived one man short but Rob Arbuckle turned out for the home team and ‘Ensians lent Toby Balthrop [who was man of the match for Salem] to Salem to make up the numbers. Salem were the first to score with a penalty goal after 5 minutes but 5 minutes later Will Foster made a break resulting in an unconverted try for speedy winger Will. Howarth.’Ensians were put under pressure by the strong Salem team but good defence especially by Richard Crossley held them at bay. Another good move earned another try for Will Howarth this time converted by Will.Foster and after 22 mins Salem responded with a penalty goal to make the score 12pts to 6pts in favour of the home team. ‘Ensians kept up the good work with an unconverted hat trick try by Will Howarth in a move where Brett Tenniswood was prominent and a further try after 32 minutes by John Ratahi who was making a welcome return converted by Will Foster bringing the score to 24pts to 6. 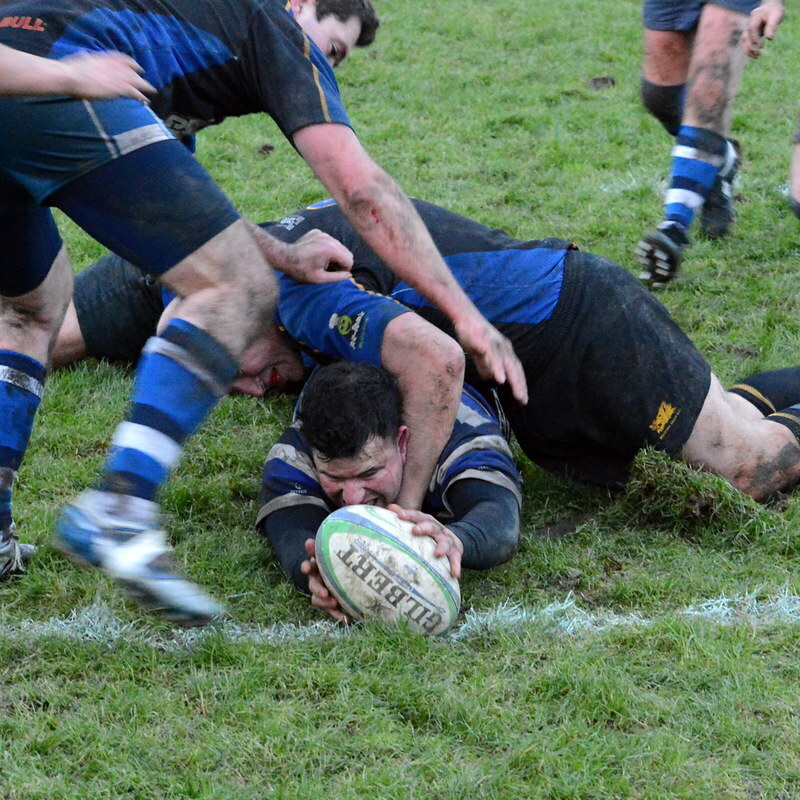 A couple of minutes later a collision between two Salem players resulted one having to leave the field due to a shoulder injury but ‘Ensians acting first team captain Rob Lofthouse sportingly substituted for him at scrum half. This caused a major turn round in Salem’s fortunes and they quickly scored two converted tries in the four minutes before half time to make the score 24 pts to 20 in favour of ‘Ensians. The second half continued with the visitors in the ascendancy but a 50 metres touch kick by Will Foster relieved the pressure .Play was scrappy until after 15 minutes Brett Tenniswood gained good lineout ball ; the ball sped across the backs and Connor Paley went over for an unconverted try making the score 29—20 to the home team. For the next 15 minutes or so Salem applied intense pressure spending minutes at a time within 10 metres of the home line but tremendous defence kept them out. The last 10 minutes were pretty even but with the last move of the match Rob Lyons broke through to score near the posts and added the icing on the Xmas cake by converting the try himself. It was a well deserved and encouraging victory in this merit match and augers well for the New Year.